92.1 the Ticket is giving you the chance to watch the Hogs from the club seats! Follow us on social media for a shot at home ticket pairs all season long! 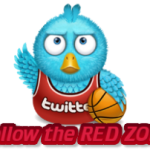 THE RED ZONE PODCAST Hate waking up early, but still need your Red Zone fix? 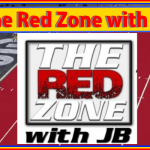 The Red Zone Podcast comes out every weekday with the best rants, riffs, callers, interviews, and more from The Red Zone with Josh Bertaccini.